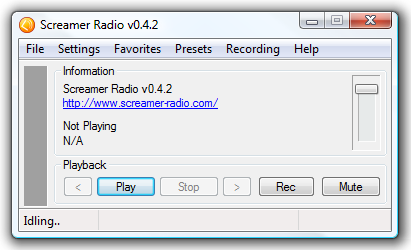 Last weekend I ran across a very cool Internet Radio and Recording program named Screamer Radio. This program is extremely light on system resources and offers a ton of music and programming resources, with one button push recording included. 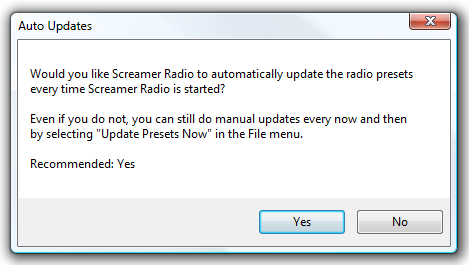 Installation and setting up Screamer Radio is a breeze. First select your language and hit OK.
Next you will be asked if you want the radio presets to be updated every time the application is started. It is always good to stay current, so you should probably accept the recommendation. That was quick set up. Now we are ready to start looking at what this has to offer. The first thing you will want to do is click on Presets to choose between an impressive number of radio stations by Genre, Language, Network, or Region of the world. (Apparently there is even a radio station in Antarctica). Also, there will be a link to the current station’s website displayed. 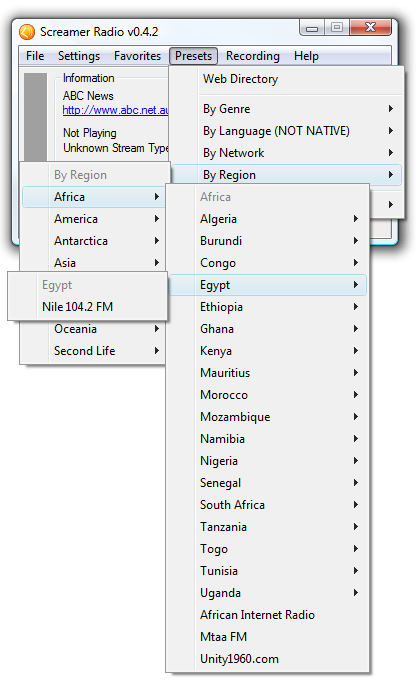 Not only are there thousands of international radio stations from, you can record them too! Simply hit the Record button and wait. There is no limit to the amount of content you can record either. 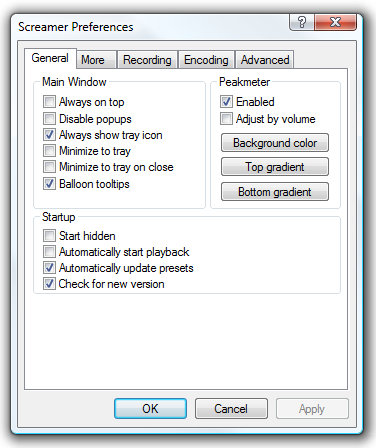 Some audio applications limit that or make you buy their pro version for this feature. Another cool feature is that you can start recording in the middle of a song and you will still get the entire song file. There are a few settings you can change around as well. 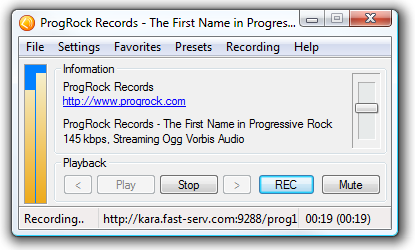 One of the first things I changed was the path to where I wanted the recorded audio to be stored. 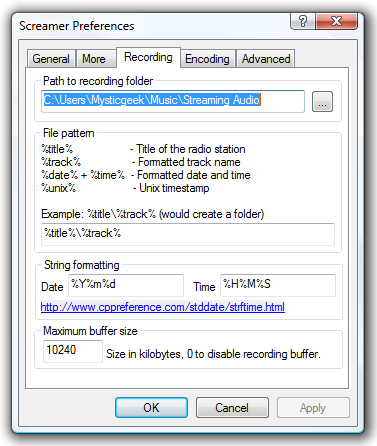 Of course there are other settings to change the way the player functions, change colors, and adjust the Bitrate of the recorded MP3’s. Another feature is it automatically logs all activity. This will be very useful for any troubleshooting you may need to do. 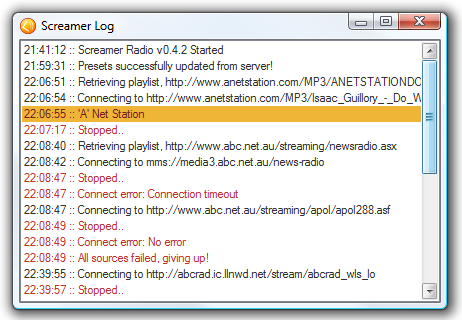 Screamer Radio is a great Internet radio recording program which is super light on system resources. The radio station database is enormous where you are sure to find suitable music and other programming. There is also a Portable Version you can stick on a thumb drive. The user interface is simple and less than spectacular, but effective. 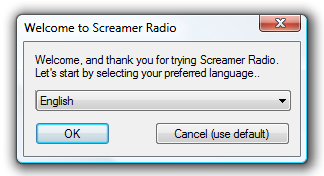 As is I can see myself using Screamer Radio on a regular basis.